ACL Staticide 520 - Topical, Heavy Duty, Antistatic Spray - 4oz Bottle. ACL’s Staticide® is an inexpensive, easy-to-use, highly-effective method for long-term static control. It is widely used in a broad range of indus-tries as well as in the office. 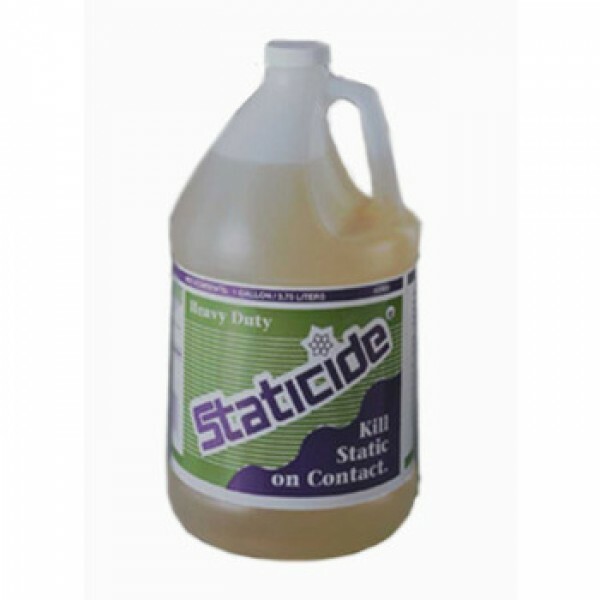 ACL 520 Heavy Duty Staticide is a long lasting antistat solution for high friction surfaces such as chairs, carpets, clothing and work surfaces with heavy use. Also use Heavy Duty solution if material is porous or absorbent. Eliminates static electricity discharge on carpeting & fabrics.